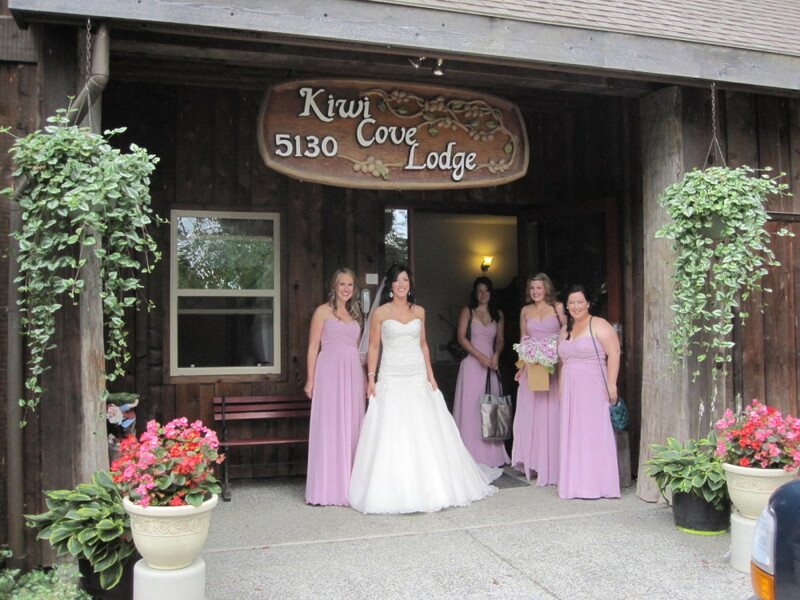 At Kiwi Cove Lodge you can enjoy your Family Wedding to the fullest. 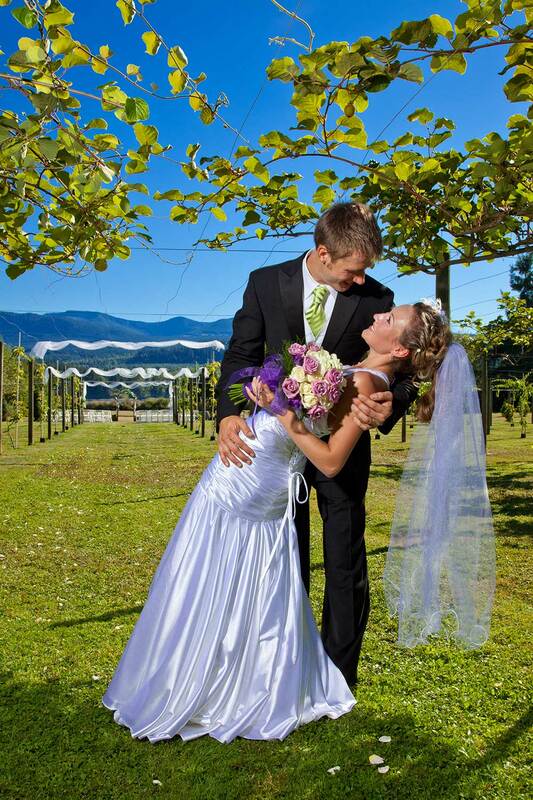 You want your Wedding to be everything you imagined. You want to remember it as the happy celebration it should be! That means sharing quality time with family and friends in a beautiful outdoor setting where all you need do . . . is enjoy! 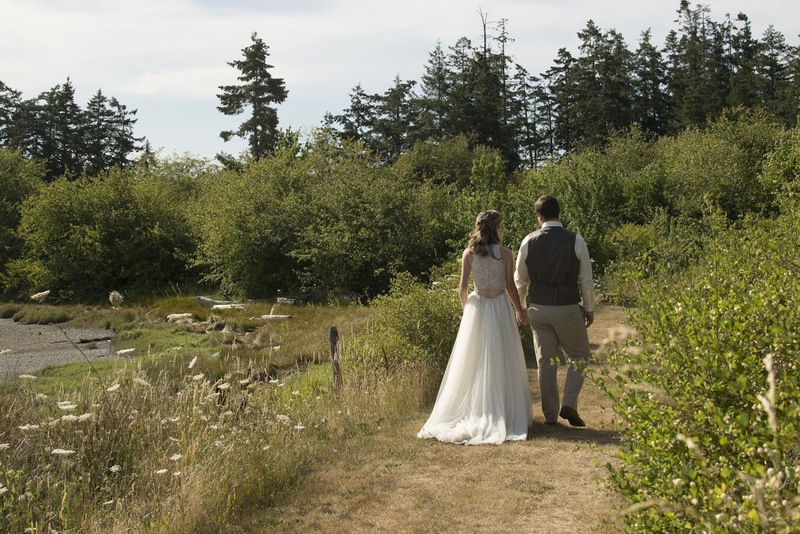 Imagine your wedding ceremony in the great outdoors, fiancé by your side, surrounded by family and friends in picturesque Kiwi Cove, a ten-acre waterfront property situated at the head of Ladysmith Harbour. 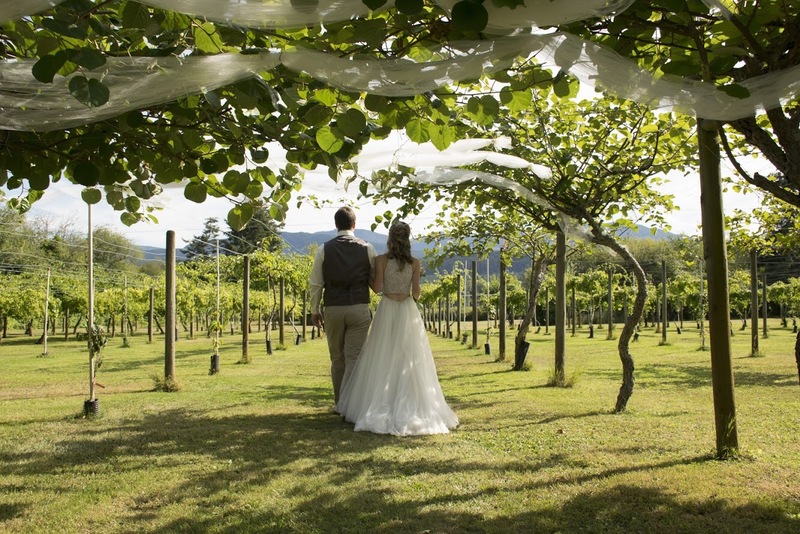 Shaded woodlands, breezy meadows and a real kiwi vineyard provide a tranquil setting for you to exchange your marriage vows. Eagles fly high overhead while sea, sky and the gentle peaks of Vancouver Island create a quietly stunning backdrop for the entire event. 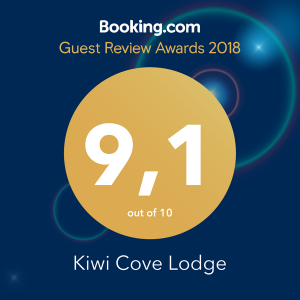 For your family wedding the spacious 12-room Kiwi Cove Lodge comfortably accommodates in rooms that are casually elegant .In addition, there’s the fully equipped Kiwi Cottage, great for families with kids. In the morning, gather together for a full breakfast featuring made-from-scratch baking, homemade yogurt and kiwi preserves, fresh-from-the-garden fruits and veggies, as well as heartier fare. Evening meals are also a delight for the group and can be arranged in advance. Before and after the wedding, have fun outdoors! 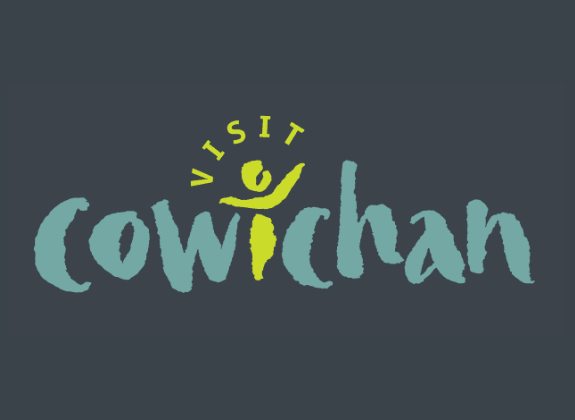 Take time to explore Kiwi Cove: sit on a log on the beach and enjoy the view up the harbor and the sea birds. Stroll atop the dykes where land meets sea, meander through the remains of an old apple orchard. Bring your favorite games along like bocci ball or croquette, or spend an evening snuggled around a crackling blaze at the outdoor fire pit. 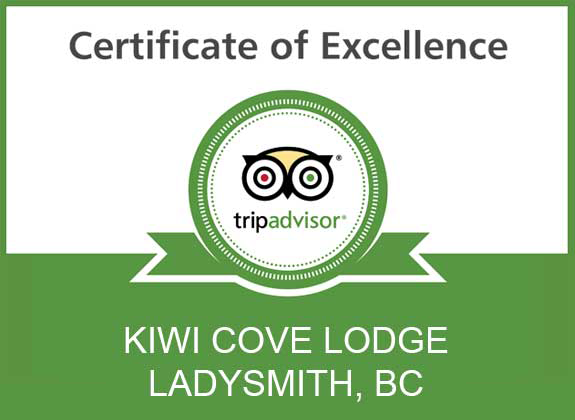 Kiwi Cove provides many opportunities to socialize and relax. 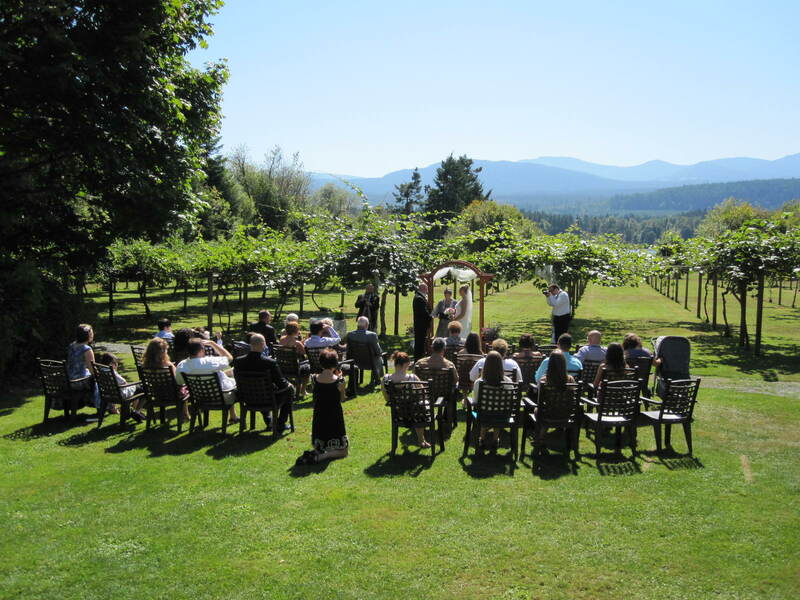 Many couples choose the area beyond the kiwi to exchange their vows. 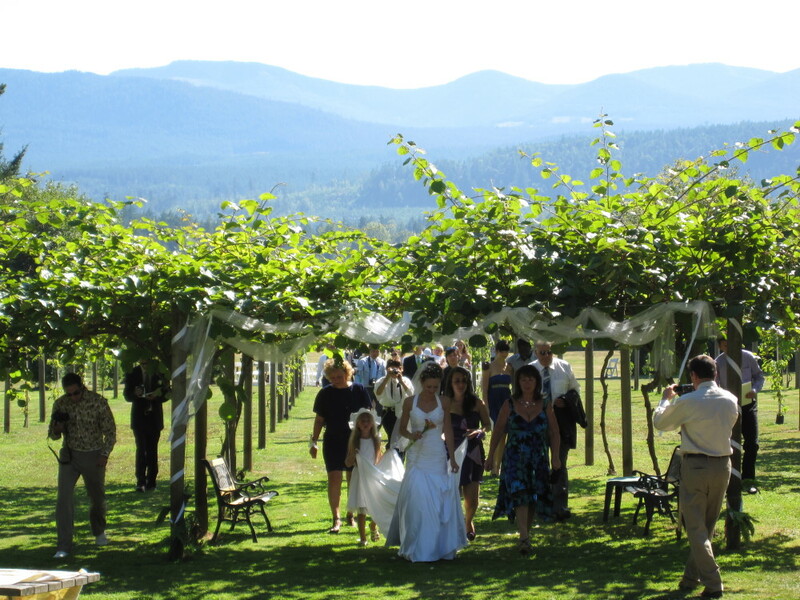 A processional can be made through the vineyard and there is a lovely mountain backdrop behind the arbour. 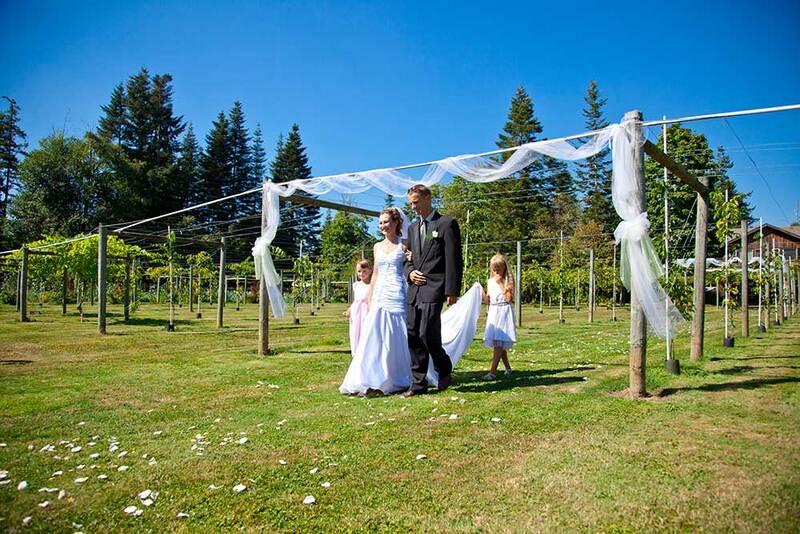 Or you may choose to have your ceremony on the lodge lawn with the kiwi vines behind you. 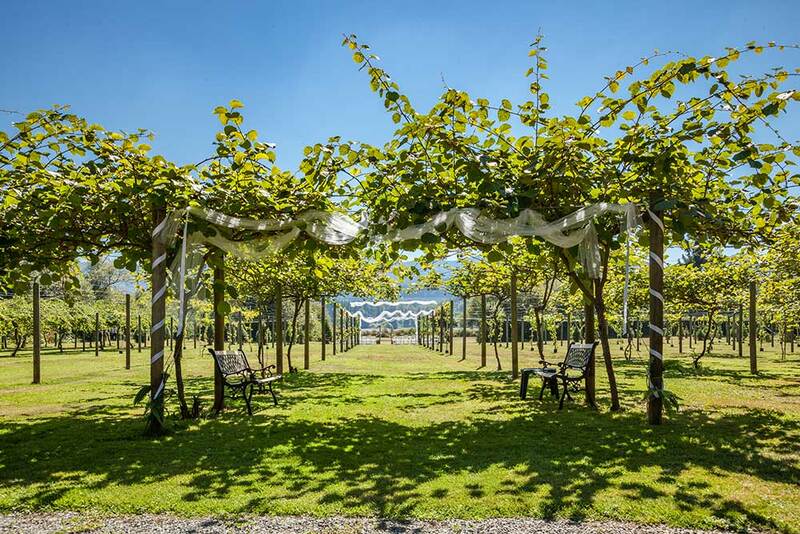 A Whole Lodge booking is required for 2 nights and there is no additional charge for your outdoor ceremony for up to 50 persons. Additional person charge for the ceremony is $8.00. 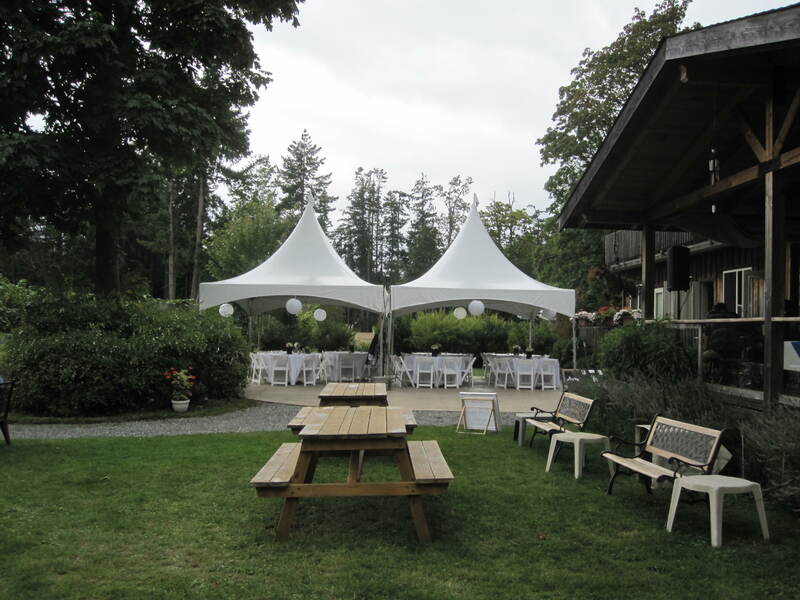 We provide chairs, arbour, decorations, table for signing the registry, parking, indoor washrooms, electric supply to the ceremony site if needed, plus drinking water and punch presentation after the ceremony. Children under 6 yrs no charge. 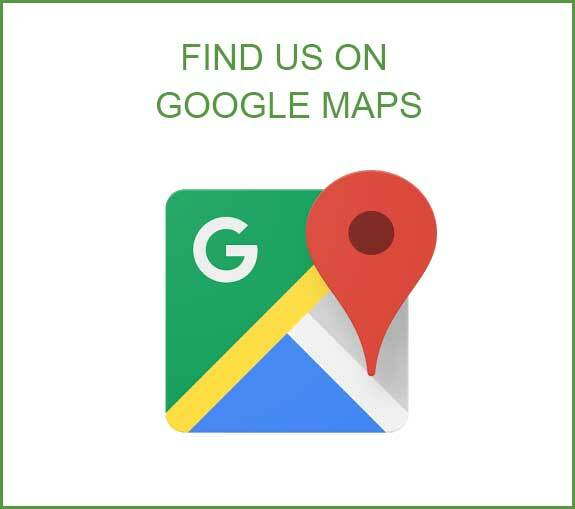 renting local halls. 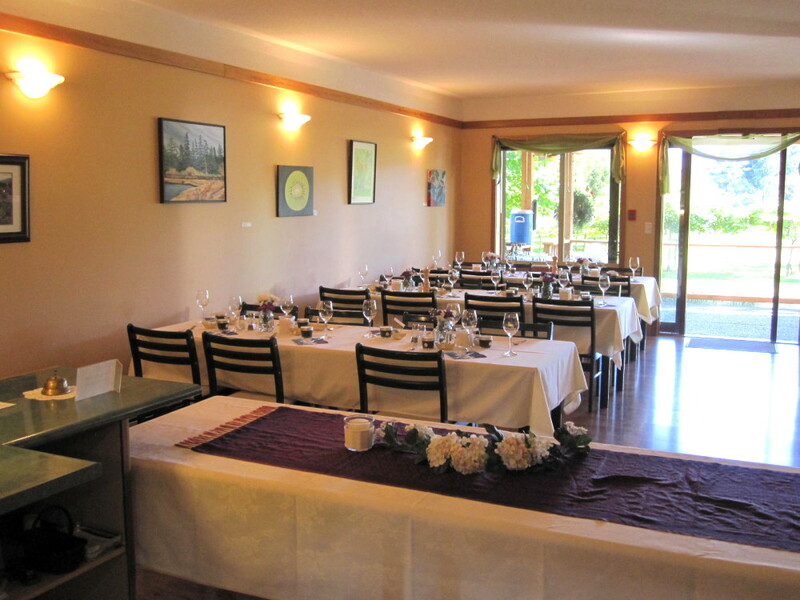 The Cottonwood golf course is very nearby and is an attractive choice for a fully serviced reception. 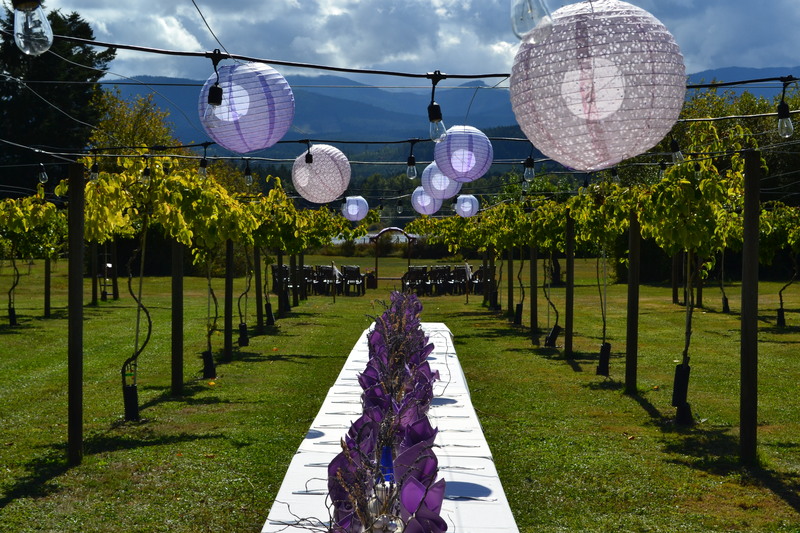 When the group size is less than 50 persons, outdoor reception is permitted. 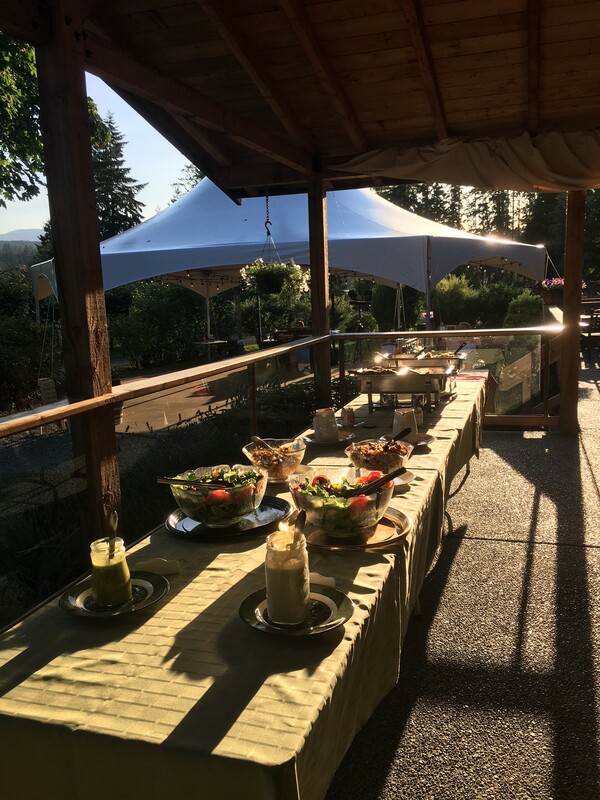 An event fee of $300.00 applies as well as additional costs for tent rental and equipment, food and beverage, and other items that you may wish to personalize your event. "photo courtesy of Harbour City Portraits"